The overwhelmingly homochiral nature of life has left a puzzle as to whether mirror-image biology systems based on a chirally inverted version of molecular machinery could also have existed. So far, we have shown that two processes in the central dogma of molecular biology, the template-directed polymerization of DNA and transcription into RNA, can be catalyzed by a chemically synthesized D-amino acid polymerase on an L-DNA template. The establishment of molecular systems with an opposite handedness is a small step towards chemically synthesizing an alternative, mirror-image form of life in the laboratory. 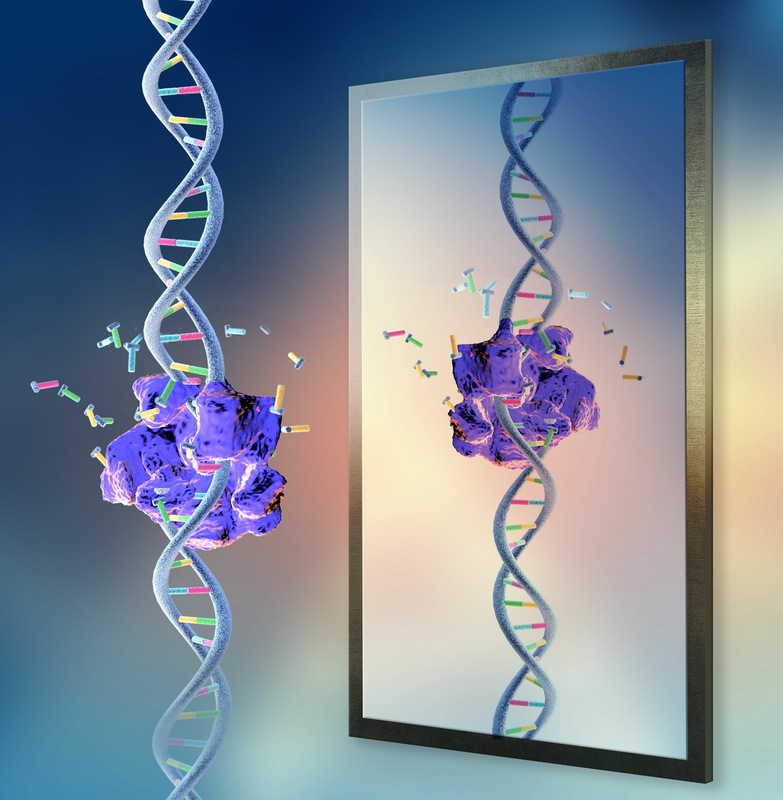 It also highlights the potential to exploit enzymatically produced mirror-image biomolecules as research and therapeutic tools. Interested students at Tsinghua University and postdoctoral candidates are welcome to contact Prof. Ting Zhu directly.